MARQUETTE — Locals with an entrepreneurial spirit will now have an easier way to get their ideas onto the path to reality, thanks to a new kiosk on the NMU campus. Invent@NMU has a new permanent kiosk set up on the first floor of Lydia M. Olsen Library to help take a product or business ideas to the next level. The kiosk allows anyone to submit their ideas right online at no cost, and then Invent@NMU will start the first steps in seeing if the idea can move forward. Kylie Bunting, the Marketing Coordinator for Invent@NMU, said the new kiosk will not only help with new businesses or products, but it also helps people see the services that they provide. At the kiosk, anyone with an idea fills out a quick submission form explaining what they would like to do, and that’s where Invent@NMU begins their process. 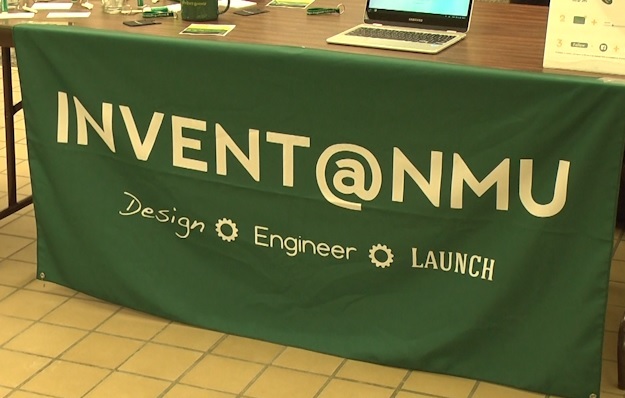 Invent@NMU had a booth set up at the library on campus Tuesday to raise awareness for the kiosk, where they gave away prizes to anyone that submitted an idea, and one lucky person walked away with an iPad. Governor, Lieutenant Governor visit U.P.